hosted by Let's Add Sprinkles. Welcome in! I'm so glad you're here. but even with a daily misting, they looked dried out and dead too quickly. I've always loved the look of a Christmas tree shining in the front window of house. So, this year I decorated a second Christmas tree for our dining room. I purchased the wreath above and some traditional metallic ornaments at a really nice estate sale. This gave me a good start on this tree. I finished it out with some gold ornaments we already had and some new mercury glass ones. 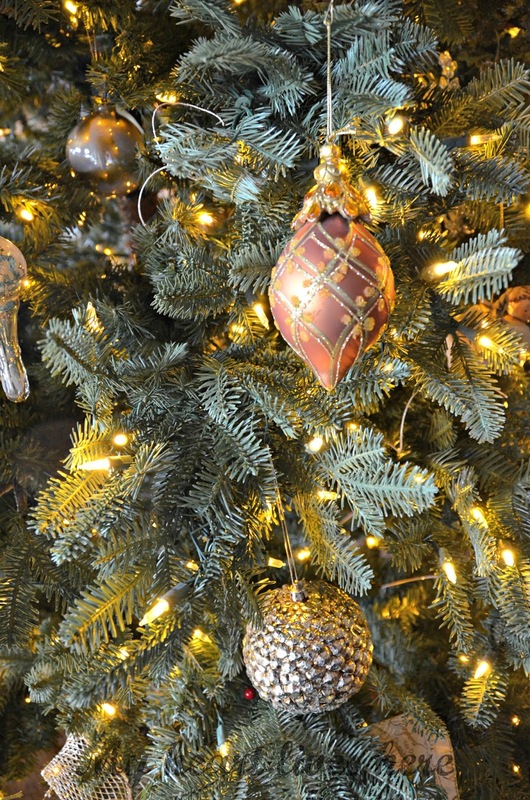 Our rustic family room Christmas tree can be seen HERE. I found this beautiful ribbon at Hobby Lobby. It reminds me of an Amy Grant song that I love, Emmanuel. Follow the link to youtube if you'd like to hear it. The table is set for a Christmas lunch I'm having with some blogging friends today. Eilis, your home is gorgeous. I love that greenery coming down your staircase. Your tree is lovely, especially with pretty ribbon winding around it. Table setting is perfect for a lunch. Thanks for sharing your home with us. I'm so sad that I will miss lunch. I'd have loved to see your beautiful home. Thanks for being part of our Cozy at Christmas tour. Your home looks gorgeous. That tree looks very real too. Have fun today. Very pretty and I love all the details, the ribbon especially. Thanks for the link to the cedar garlands, I had to do a double take, it looks so real. Your home is very inviting hope you have a Merry Christmas! Oh your mantle is absolutely wonderful Eilis! 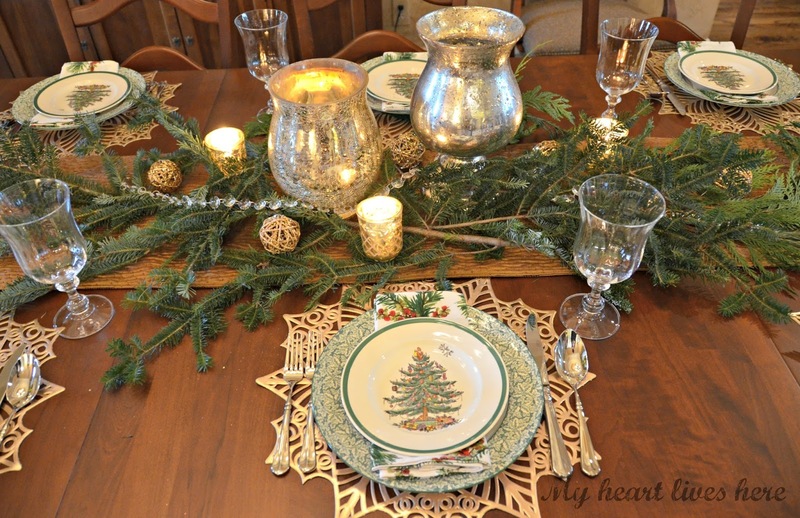 The tree is truly elegant and of course the table is spectacularly set. What beauty! Hi Eilis, Such a beautiful home for Christmas. 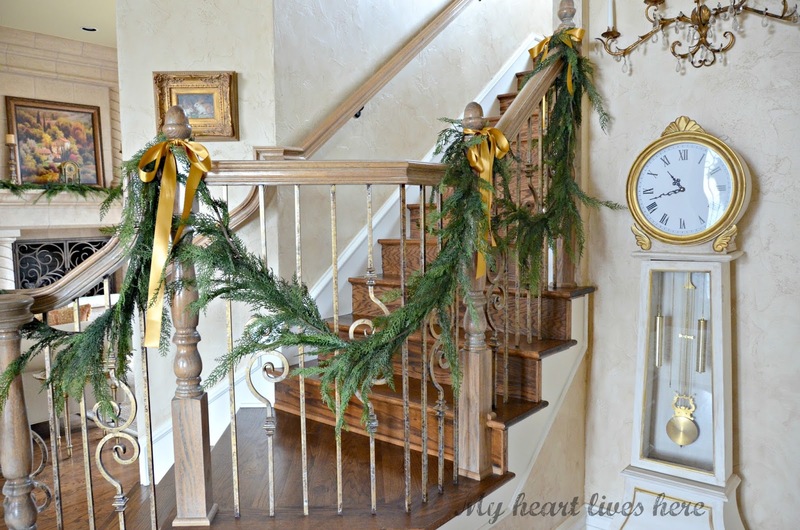 I love your garland on the staircase. It looks so real and thank you for sharing the link. 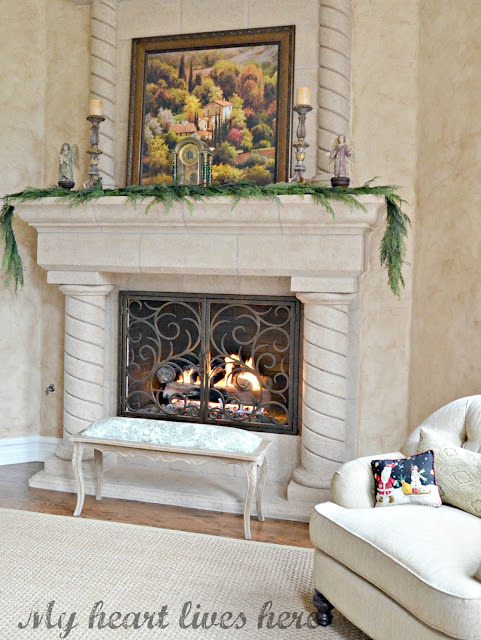 Your mantel is stunning, elegant and inviting. Beautiful table set for lunch and I love your tree. Thank you for sharing and inspiring in our home tour. I'll be thinking of you girls today. Enjoy and have fun!! Merry Christmas! 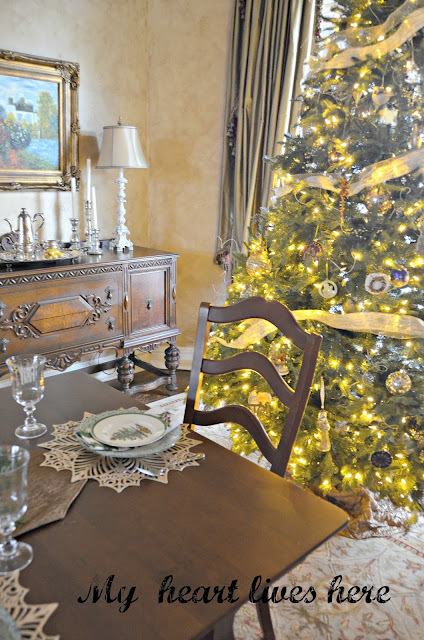 Your greenery looks so fresh and real, Eilis, and your tree looks magnificent. I love the look of a tree in the window, too. While I was with my mom in Ohio this year for Thanksgiving, my son, who lives here with me, surprised me and put my big tree up in my front window, which I hadn't done in several years. I was truly touched by his thoughtfulness. Thanks for sharing your lovely home with us, and have fun today! 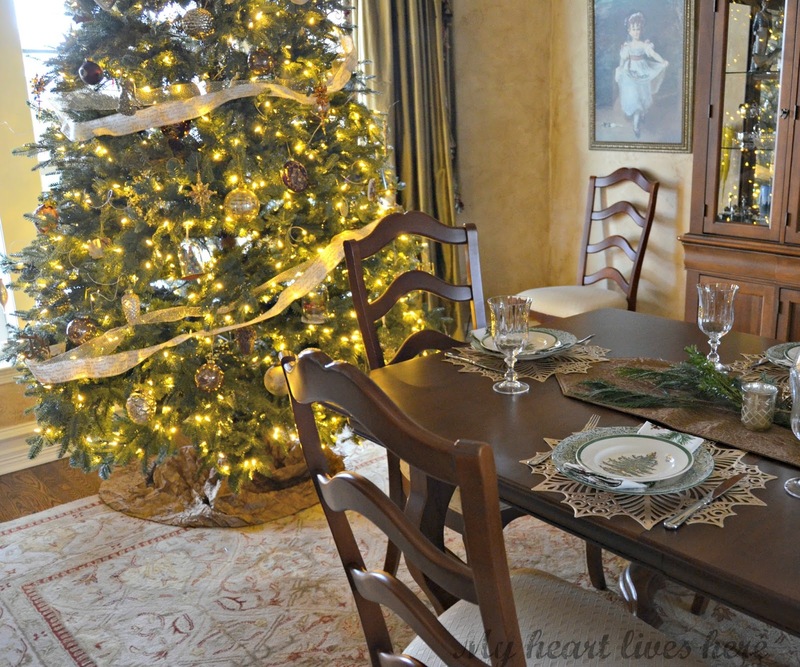 Eilis, I love the idea of a tree in the dining room. And it's so pretty. 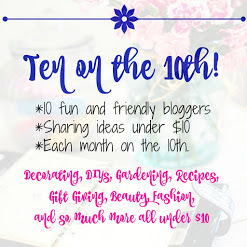 I know about the live vs. faux garland. The good stuff really is expensive. We splurged 16 years ago, and our faux garland still looks amazing. But it doesn't have any Christmas smell. Your trees are just gorgeous. I'm linking over from Art and Sand. Thank you for the tour, very elegant and the greenery on your staircase sure does look real. Wow, your garland looks very real! I'd never have guessed it was faux! Your home is beautiful. Love the dining room tree. I like to see trees in front windows too! Merry Christmas, Eilis! Your home is so elegant and pretty with lovely Christmas touches everywhere! Thank you for a wonderful tour of your home for the holidays. 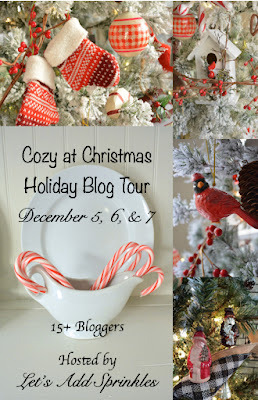 Your home is so beautiful, and the Christmas décor is the special icing on the cake!! Eilis- I am so sorry I live so far away. 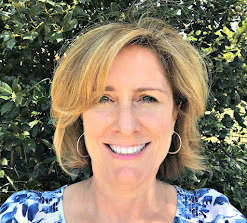 I would have loved to tour your beautiful home in person. First off, I love the Paul Michael Company and your garlands are fantastic. The garlands and tree are wonderful. The fireplace caught my eye and kept it. How lovely it is to begin with, but especially so with the Christmas decor added. Thanks for sharing your home with us. What a treat to tour your home! It is so elegant! Everything looks beautiful! I was shocked to find out the greenery is faux! It looks fresh! 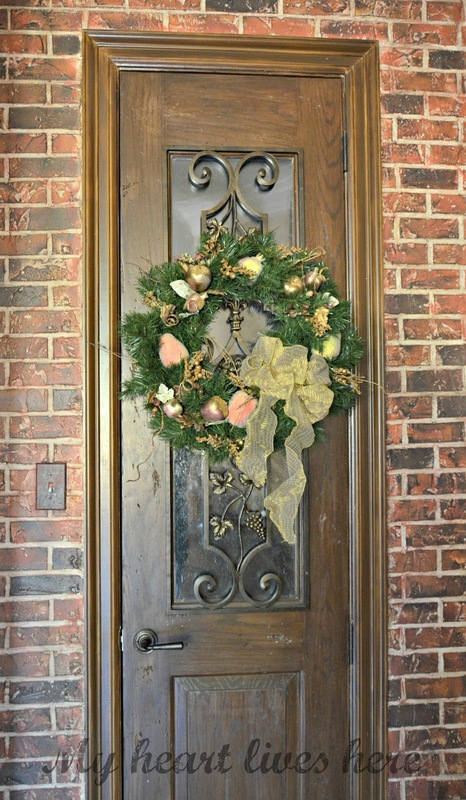 Your home looks lovely in all its holiday splendor! 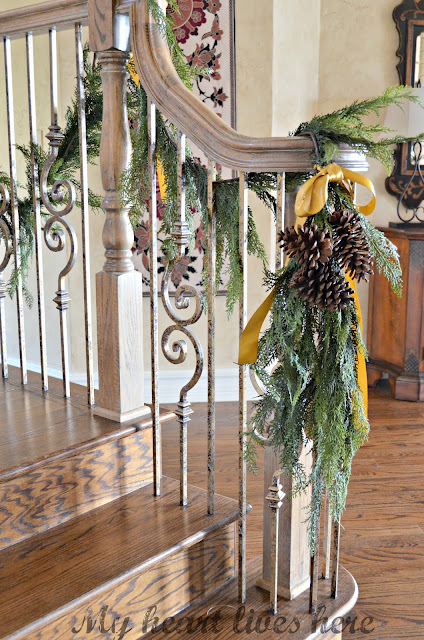 I especially like your real looking garland wound around your stair railing. Thanks so much for the link because it's just what I've been looking for. Thank you for sharing your Christmas tour with us! So elegantly beautiful Eilis! Love that garland. I bought real for around my door outside. I would love it inside, but we run our fireplace way too much. Hope you had a fun luncheon! Your home is absolutely beautiful. It reminds me of my sister's home at Christmas even down to the way you decorate your tree. Oh, I lost my comment. Wow, Eilis, so much beauty to behold. I love your garlands , wreaths and trees. Your garland does look very real. 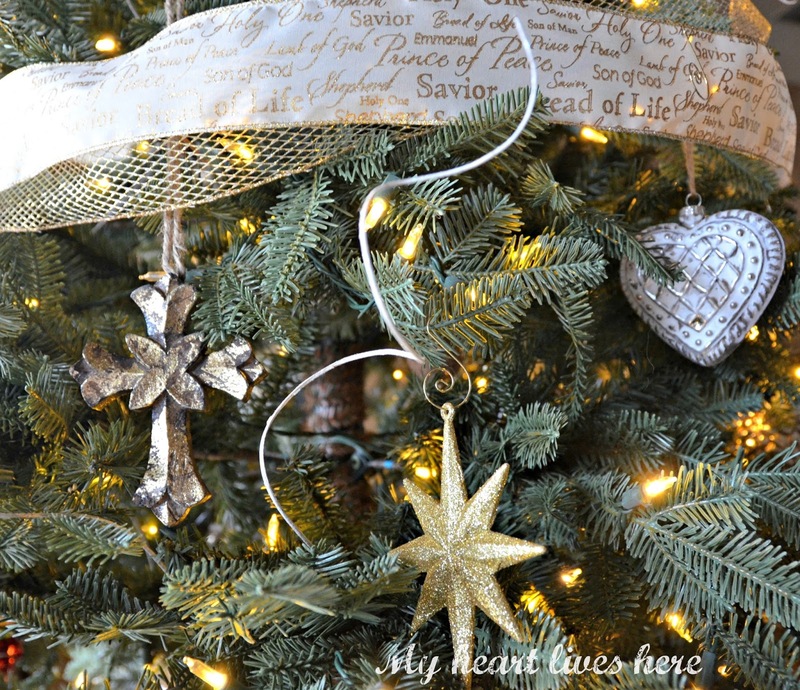 I love your tree in front of the window and the Emmanuel garland is beautiful and meaningful. Eilis, everything looks so beautiful! Your tree is gorgeous...love that ribbon! I am sure you all had a wonderful time yesterday! Your home is stunning anytime of the year, Christmas just makes it all the more delightful! Each and every niche is perfectly decorated for Christmas. Thank you for hosting our lovely Christmas luncheon, it was a joy to be with everyone. Hi Ellis, your home is just beautiful! I agree, I love to see a Christmas Tree in the front windows; looks so inviting. Your greenery is wonderful, I'll have to check out your link, mine is ready to be replaced!